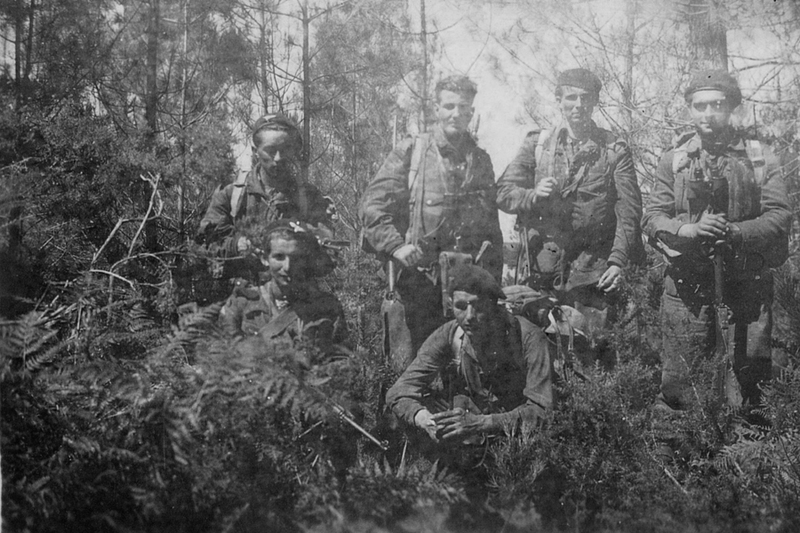 French paratroopers of the 4th Special Air Service in June 1944 in the maquis of Saint-Marcel. In order to coordinate the actions of the Breton resistance while disorganizing the arrival of the German reinforcements to Normandy after D-Day, French commandos were parachuted over Brittany. 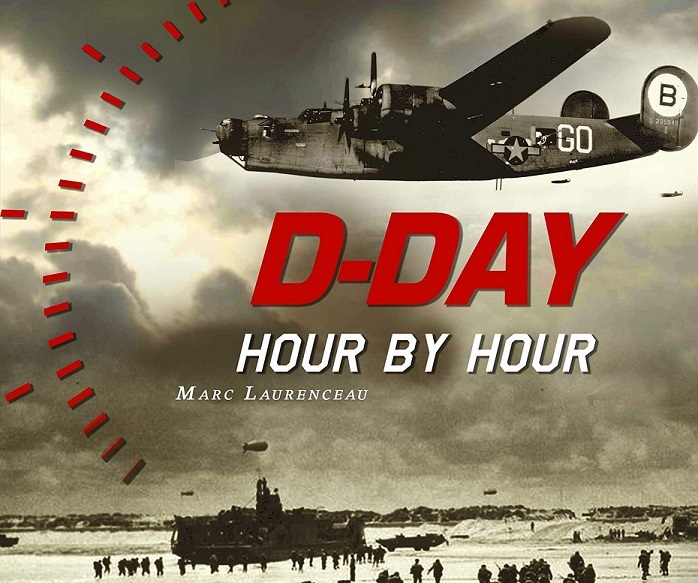 One of these operations, code-named Dingson, consisted in setting up a solid secret army in the south of Brittany in the Morbihan, in order to establish allied drop zones and landing zones in coordination with the resistance networks. 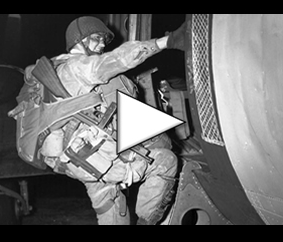 In the early hours of June 6, 1944, while the American and British scouts jumped over Normandy, 36 commandos belonging to the 4th Special Air Service (SAS) French Battalion (future 2nd régiment de chasseurs parachutistes) were dropper over Brittany. They were divided into four teams of nine personnel each: two (commanded by lieutenant Deschamps and lieutenant Botella) jumped around the forest of Duault in the Côtes-d’Armor (Operation Samwest) around 12:30 am and two dropped near Plumelec in the Morbihan region (operation Dingson). The first phase of the mission consisted of setting up a secret support base in Brittany near Vannes, contacting the local Resistance which would be integrated into the guerrilla operations, and finally establishing drop zones and landing zones for the rest of the commandos. This battalion was then to carry out destruction of lines of communication, ambushes and sabotage actions to hinder the convoys of German reinforcements circulating in Brittany and heading towards Normandy after D-Day. – Stick 1 (“Pierre 1“): Lieutenant Pierre Marienne, Emile Bouétard, Pierre Etrich, F. Jourdan, François Krysik, Pierre Pams, Loïc Raufast, Maurice Sauvé, Jean Content, Captain Hue Hunter (“André”, S.O.E.). – Stick 2 (“Pierre 2“): Lieutenant Henri Déplante, adjudant Auguste Chilo, Jean Paulin, Jacques Bailly, Alexandre Charbonnier Alexander, Antoine Treis, Henri Filippi. The sticks of the lieutenants Marienne and Déplante, parachuted near Plumelec in the Morbihan, are confronted directly to supplementary troops serving in the German army, Georgians and Ukrainians troops of the Vlassov army. Corporal Emile Bouétard was shot during the fighting. Wounded, he received a fatal shot by one of the auxiliaries (in accordance with Hitler’s orders to the captured allied paratrooper and commandos). He was perhaps one of the first allied soldiers of Operation Overlord to die on June 6 1944. The resistance was well organized and until 18 June 1944, 160 soldiers of the 4th French SAS were parachuted on the Dingson base installed in the maquis of Saint-Marcel. But on July 12, 1944, a little less than a month after the attack of June 18, the German soldiers (informed by the Gestapo) discovered the command post of the Dingson cell led by Marienne, located at Kerihuel near Plumelec. Captain Marienne, as well as 17 brothers in arms (six paratroopers, eight resistant and three farmers) were shot at dawn. This was the sad end of the maquis of Saint-Marcel. Of the 450 S.A.S. deployed, 77 were killed and 197 were wounded.